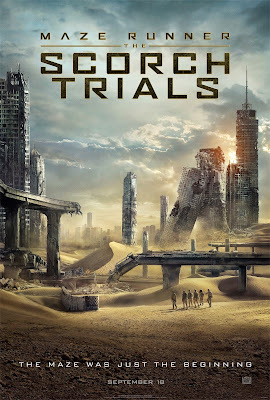 Film-Arcade.net: First Trailer and Teaser Poster for the Upcoming Action Sequel "Maze Runner: The Scorch Trials"
First Trailer and Teaser Poster for the Upcoming Action Sequel "Maze Runner: The Scorch Trials"
20th Century Fox recently released the first trailer of the "Maze Runner: The Scorched Trials". The upcoming film stars Dylan O’Brien, Kaya Scodelario, Thomas Brodie-Sangster, Giancarlo Esposito, Aidan Gillen, Barry Pepper, Lili Taylor, and Patricia Clarkson. "Maze Runner: The Scorched Trials" hits theaters on September 18th.